A community of like minded individuals all striving to create the best possible version of themselves. 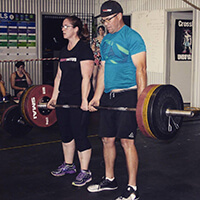 Co-owned by Mark & Corinne Edis and Brett & Meaghan Suttor, CrossFit Victus is a large, modern fitness facility specialising in functional fitness. Our aim is to make you better at life. Whether that be weight loss, increased strength, sports readiness or just having energy after a long day to play with your kids / grandkids. Our self paced workouts are exciting and unique, and our members are the most friendliest people in the history of the universe. 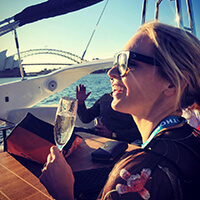 Our members set goals, and everyday they break down barriers and set new standards for themselves. Our training is self paced and can be intense, depending on the level you wish to push yourself, and it creates a bond among our members that can’t be faked or manufactured. 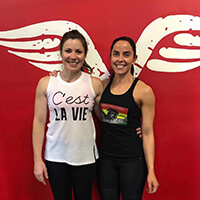 To create a premium CrossFit facility that values community, makes fitness available to all and provides excellent services that lead to ultimate health. Any new adventure can be daunting – which is why we will take the first step together. 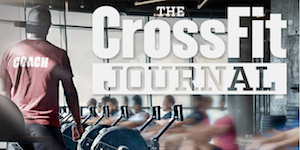 The first step is to come to a 1-hour session where you can try CrossFit for the first time. 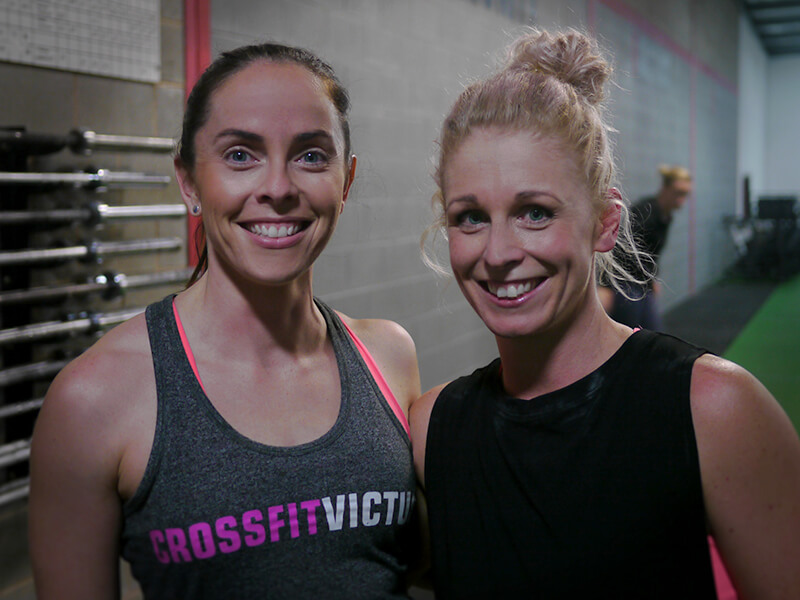 We will walk you through the CrossFit Victus Box (Gym), have a quick chat about “What is CrossFit and Fitness” and then you will do a CrossFit baseline workout to finish the session. 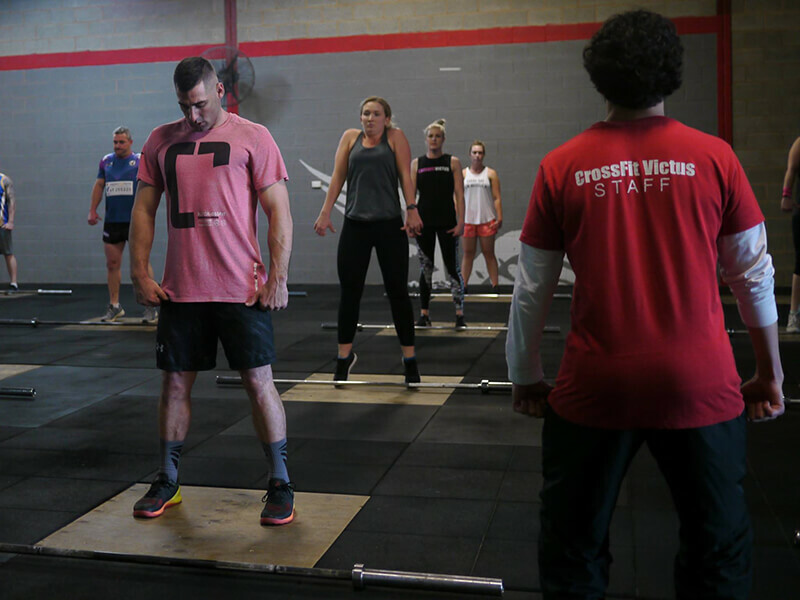 We introduce you to the fundamental movements within CrossFit; our standards, coaching style, cues & most importantly we start to teach you how to move. You will also get to experience some short WOD’s (workout of the day) to get a real taste of the fitness journey ahead of you. Become a part of the CFV Community! 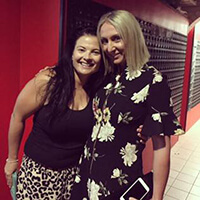 We promote a family-like atmosphere of support and camaraderie amongst our members so someone will undoubtedly take you under their wing and help you through your first session. Plus, a coach will be with you to safely guide you through your first workout. As a mother it is empowering to see how quickly my body responds to the workouts and to feel the increase in myoverall energy levels. I have seen great results in a short amount of time, and it’s definitely changed the way I feel about diet and exercise. 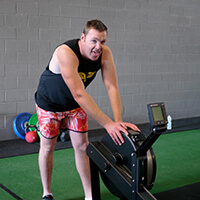 I could never return to a mainstream gym and would recommend Crossfit Victus to anyone! In one word, Victus is amazing!! I’ve been coming to CFV for just under 1 year now and there is no looking back. The owners and coaches are friendly and inviting, and know there stuff!! As for the community, well..... that’s the best part!!! Great place to train, wonderful coaches and a fantastic community! CFV has completely changed my view on fitness; for me exercise was always a chore and something I struggled to find motivation for. Until crossfit I never enjoyed exercising and now 4 years later I still absolutely love it and coming 3-5 times a week is easy! All due to the excellent programming, knowledgable & friendly staff and the amazing supportive community. I'm fitter than I've ever been and have made some great friends along the way, I can't recommend Crossfit Victus highly enough! 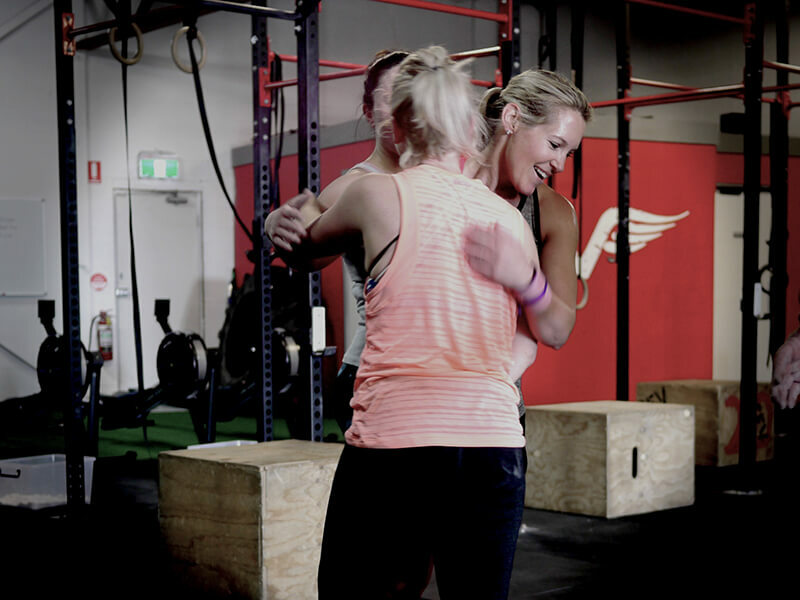 "Crossfit Victus means much more than just fitness to me. I watched my confidence grow... I became more and more happy with myself, my body and my life...I have attracted so many positive life experiences by putting myself in a place/around people where 'positivity just is'. Strength, confidence, life long friendships , independence, reassurance, courage are some of the many things I have gained from CFV. The most valuable of all...a precious little girl who knows what a healthy lifestyle is and what a happy Mum looks like. " 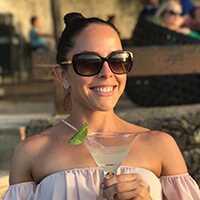 "Waking up in the morning is hard, but I know that when I get to CFV, I'll be greeted by friendly faces and great coaches that push me beyond what I thought I could do. I leave feeling totally exhausted but completely empowered and can't wait for the next day to do it all again! "